Build your company culture intentionally. While it’s true that employees leave managers, not companies, the tone or culture of the company is critically important. Your company DOES have a culture, whether you or not you’re intentionally building it. If there is a Mission and defined Values, make sure they’re communicated to managers as well as employees. Monitor and review practices and policies to make sure they’re consistent with the Mission and Values – then make sure that leaders walk the talk. No new initiative can be successful without the support of the CEO, so engaging company leaders and communicating the message from the top down is essential. Every employee wants to know that their work has value and when they go above and beyond, it’s noticed. (TINYPulse finds that 21.5% of workers who don’t feel their great work is recognized by their managers have interviewed for a job in the past 3 months, vs. 12.4% who DO feel recognized). Formal employee recognition programs are also a way to communicate that the Mission and Values are important, and a way to outline company goals. We pay attention to what’s measured, so when employees know what’s expected and are given the tools to accomplish the goals, your workforce will be working toward a common end. All recognition programs are not created equal, and there are plenty of pitfalls to encounter as well as unintended consequences if a program is not designed properly. Make sure to partner with an experienced firm to guide you. It’s often believed that employees want cash incentives and awards because “everyone wants cash.” In fact, industry studies prove that non-cash or “tangible” rewards are most effective. Invite representatives from your employee audience to participate in the process as well as weighing in on which types of tangible awards they desire the most but avoid using cash (or cash equivalents like gift cards and gas cards). The people designing these programs are very different from the target audiences they hope to motivate. 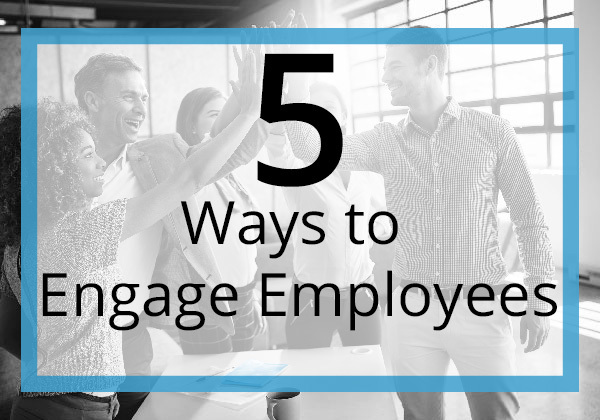 Involving key employees in the planning process will ensure that they’ll have the tools they need to accomplish company goals, and the rewards will be far more motivating. Employees may not get opportunities to meet others from various departments or other areas of the company. Providing opportunities for employees to socialize (perhaps with spouses and children as well), will encourage camaraderie and engagement. Many companies sponsor or contribute to charities. A chance to volunteer for a day as part of a company effort can serve the “social” purpose as well as provide employees with a way to give back. Encourage professional and personal development. One of the key questions that prospective employees are asking employers is “what sort of growth opportunities does this company provide?” According to Bridge, 67% of millennials will leave a job that lacks growth opportunities or leadership development. Paths to personal and professional development can be mapped out through individual employee meetings or through a thoughtfully-designed reward and recognition program. Employees will quickly disengage when they perceive that there is no way for them to progress, or that their work is not valued and appreciated. 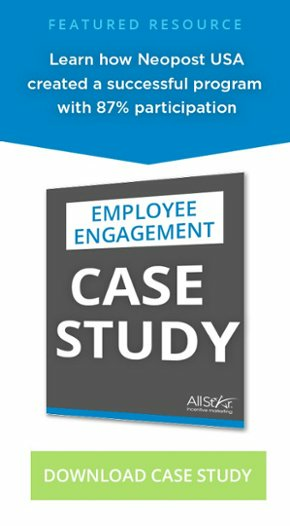 An experienced firm can help you design an effective employee recognition program and guide you through the critical steps that will contribute to increased employee engagement. Contact us today to get started!